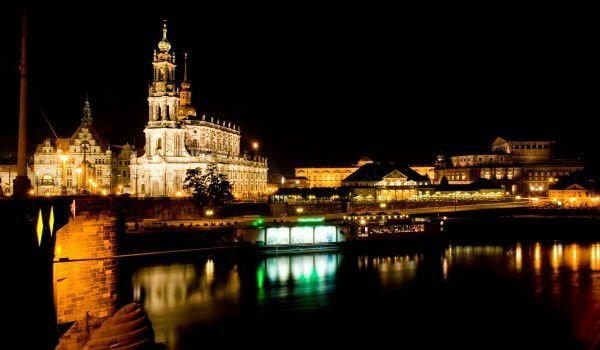 Dresden is one of the most beautiful cities in Germany. It is the capital of the German State of Saxony and is the fourth largest city in the country after Berlin, Hamburg and and Cologne. In Dresden the Elbe passes, as the city stands on both sides of the river. The cost of one of the tourist boats on the river can not but impress you by the beautiful view of the baroque architecture, which houses several world famous museums and their art collections. Because of this view Dresden was called "Elbflorence" or the Florence of the Elbe. From Dresden the German capital Berlin is located 124 km north, Leipzig is about 62 km, and Prague stands only 150 kilometers to the south. Dresden is world famous for its porcelain. For centuries, Dresden is a city that holds a myriad of historical heritage. Today Dresden offers a great number of modern and historic landmarks. No book on architecture over the centuries, fail to note the beautiful baroque Zwinger Palace. Zwinger is a remarkable fact, a baroque architectural complex which can be seen in the art gallery "old masters" with works by Raphael, Titian, Rubens, Rembrandt, Caspar David Friedrich, Max Liebermann, Jacob van Ruisdael and many others. One of the most famous paintings of the museum is the "Sistine Madonna" of Raphael. 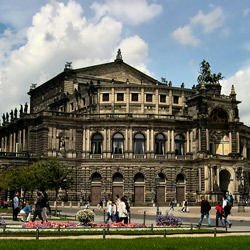 The Opera in Dresden also impresses with its beauty, the Royal Palace in the city is a must stop for every tourist. In addition to these world monuments there are still a whole bunch of smaller attractions that complement the city's landscape. Along the river Elbe near Dresden you can visit palaces as interesting such as the, Weißenstein castle and Castle Moritzburg, which stands 14 kilometers from downtown. Lovely Moritzburg is located in an incredibly beautiful natural area with lakes and thick forests. The Castle was built to replace an older building as a magnificent Renaissance summer residence and hunting lodge for Duke Moritz of Saxony Wettin from between 1542 to 1546. Eastern intriguing architecture of the Pillnitz Castle can be seen along the river Elbe. The most pleasant way to reach this landmark of Dresden is to get onboard a tourist boat on the Elbe, which would provide you a very beautiful and pleasant route out of town. Cruises will take you to the palaces on the slopes of the river from Pillnitz to Palace Park Gross-Sedlitz as well as the highland castle of Königstein located on Saxon Switzerland. Pilnits itself is located in a suburb of Dresden, which occupies the eastern part of town. This Castle will charm you with its strange mixture of Eastern and European architecture and its beautiful gardens, which opens to the sight of vineyards. Dresden has become an interesting case after the Elbe River there was included in the list of World Cultural Heritage list, as part of this beautiful natural area of Dresden has managed to survive for five years. In 2006 the valley of the Elbe was inserted in the list of potential relegation from the list of attractions, and in June 2009 the Elbe in Dresden officially fell from the list of UNESCO. The reason for this was the construction of the highway bridge, which covers 2 km from the historic city center, which is inherently unacceptable to the objects of the organization. Thus, Dresden became the first city that lost its status in UNESCO and the second ever in the world.